Friday calls for chocolate right? You must try this Death-By-Chocolate Layer Cake I shared with you yesterday—It’s the bomb. This week’s Friday Find’s theme is everything fruity. I’ve just been CRAVING anything with fruit in it lately. Must be the season. Speaking of spring, have you tried this, this, and this yet? They’re about as spring-like you can get! Berry Fizz by Family Fresh Cooking—Looks so refreshing and perfect for when the weather gets warmer! 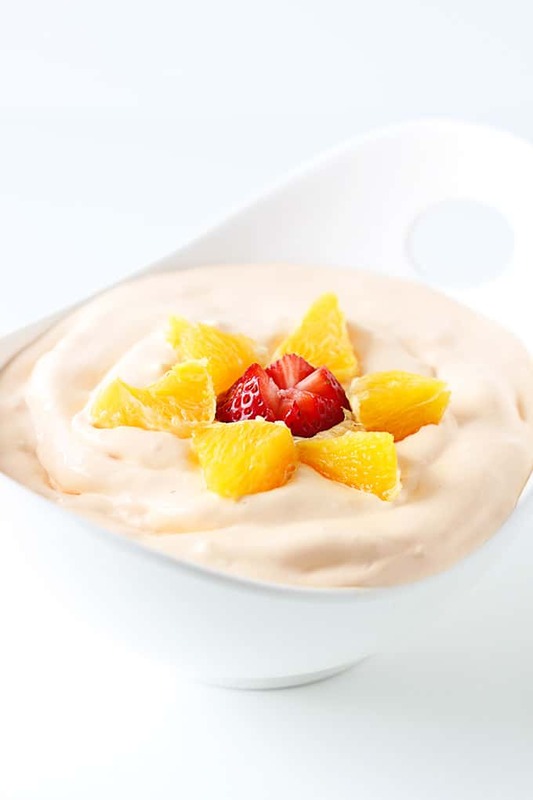 Dreamsicle Fruit Dip by Creme De La Crumb—NEED this dip in my life asap. 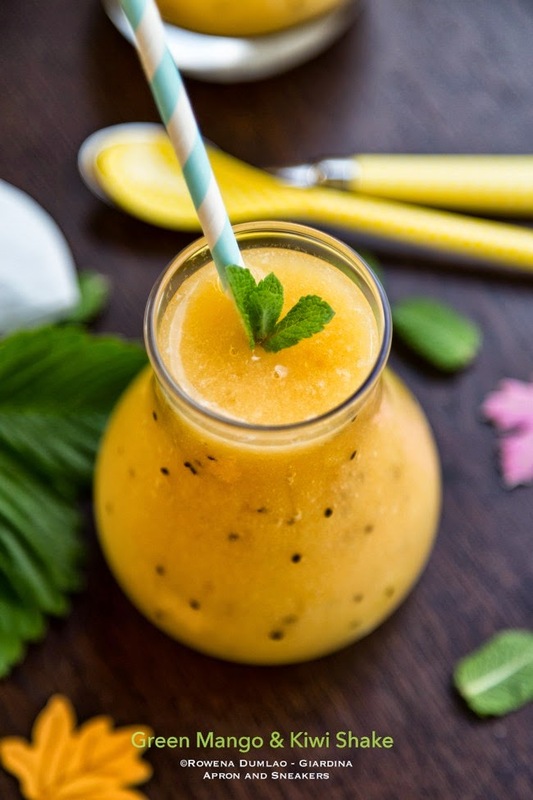 Green Mango & Yellow Kiwi Shake by Aprons & Sneakers —- Love that gorgeous color! 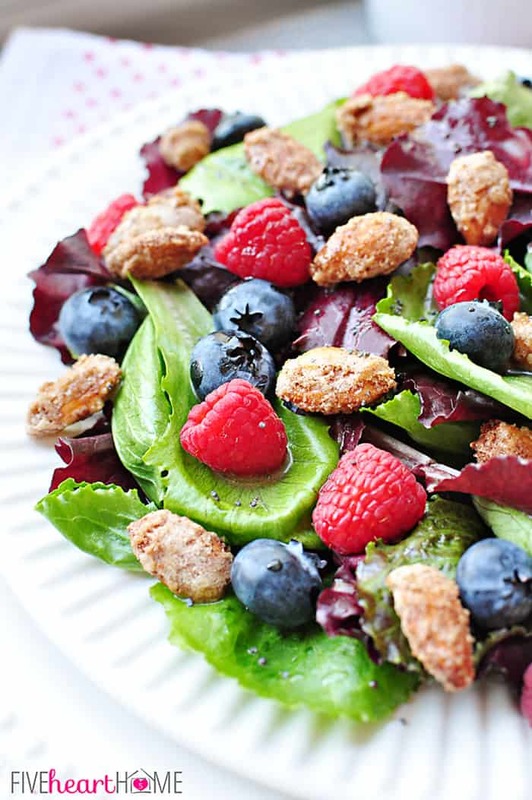 Spring Salad With Mixed Berries, Candied Almonds, and Honey Citrus Vinaigrette by Five Heart Home— I so want this for lunch today. Triple-Lemon Blueberry Layer Cake by Sweetapolita—I think I could eat this entire cake in one sitting. Lovely edition of Friday Finds, Sarah! Your chocolate cake looks so tender and scrumptious. Thank you for linking over to my tutorial on peeling hazelnuts. Have a wonderful weekend! Love your Friday Finds! And that chocolate cake looks so good and delicious! Thank you for linking to my naan bread 🙂 and have a great weekend! This chocolate cake is very tempting ! In France the spring just started but we really didn’t have had winter.